Mens sizes are unisex, medium/large, and extra large. 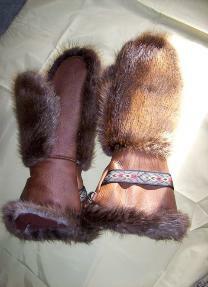 NOTE women with big hands also wear unisex, med/lge. YOU design it and we'll sew it. Custom Ordering Page, click here. 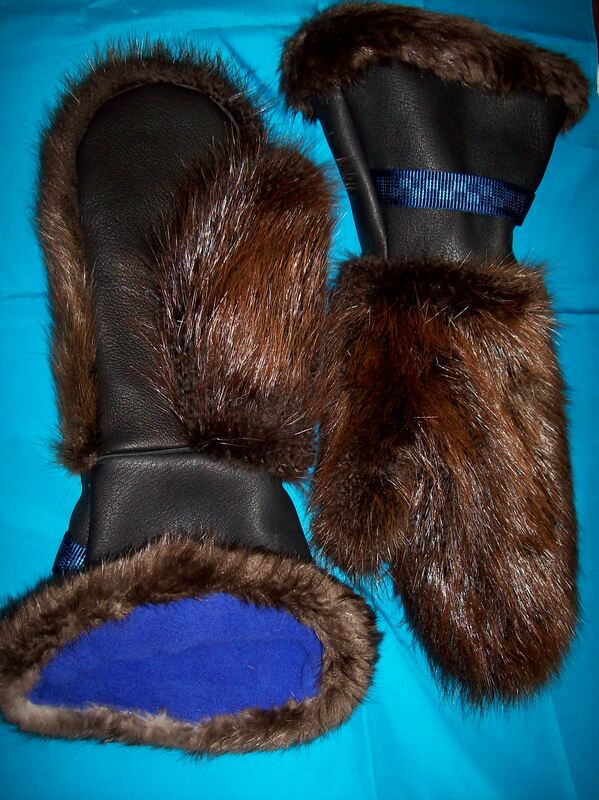 All photos are thumbnails and can be viewed in full size if clicked upon! 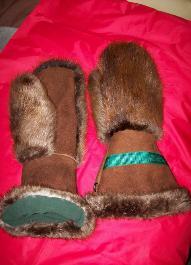 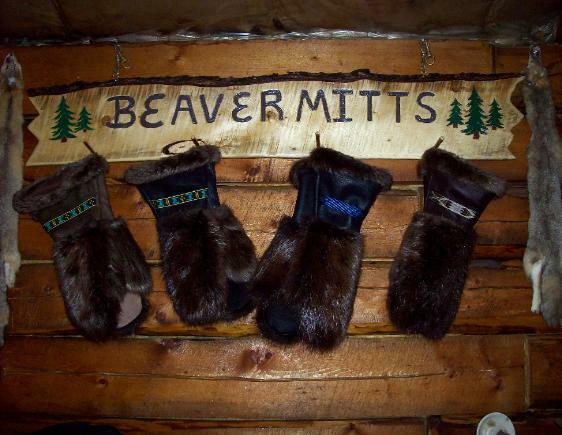 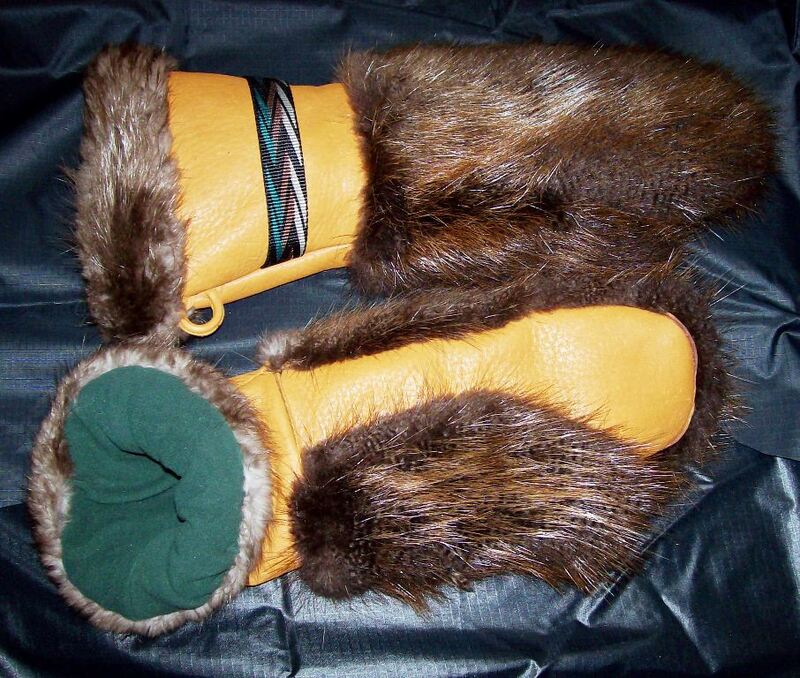 At Timberado Beaver Mitts, you really CAN have it YOUR way! Take a look at some of the designs purchased by customers just like you. 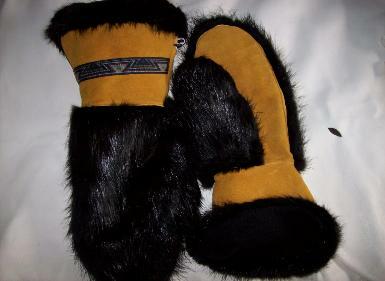 Let us sew for you! 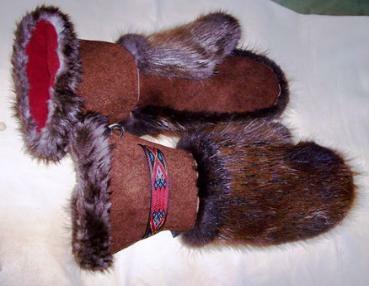 Elk now available in Caramel Mocha! 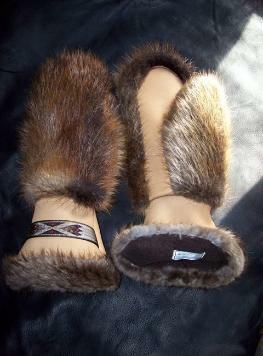 windblock liner, aztec wrist band. 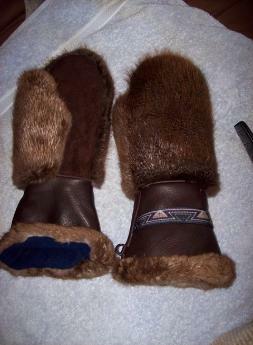 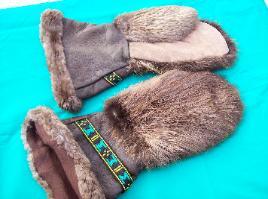 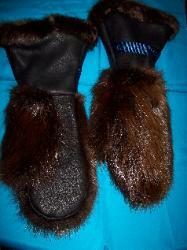 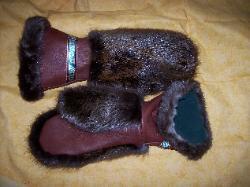 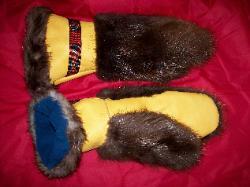 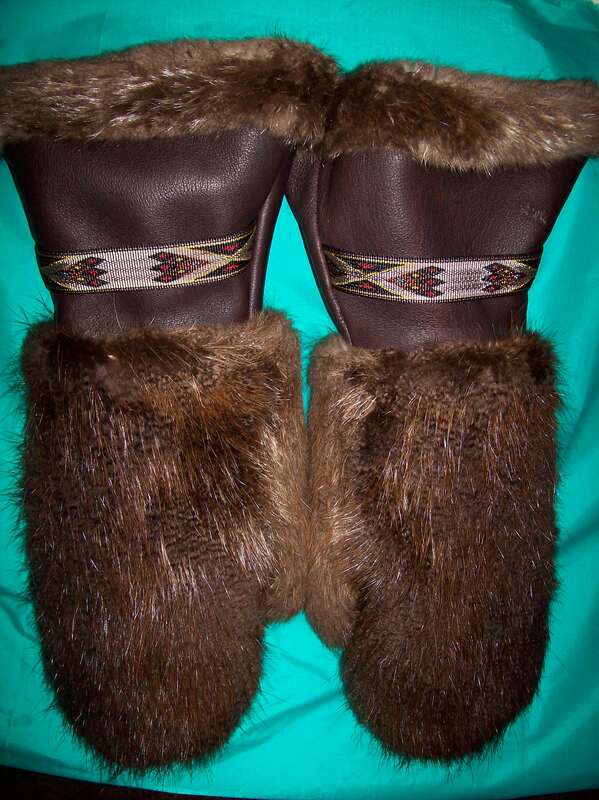 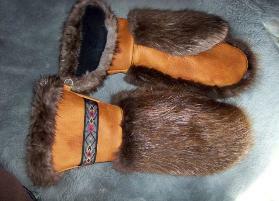 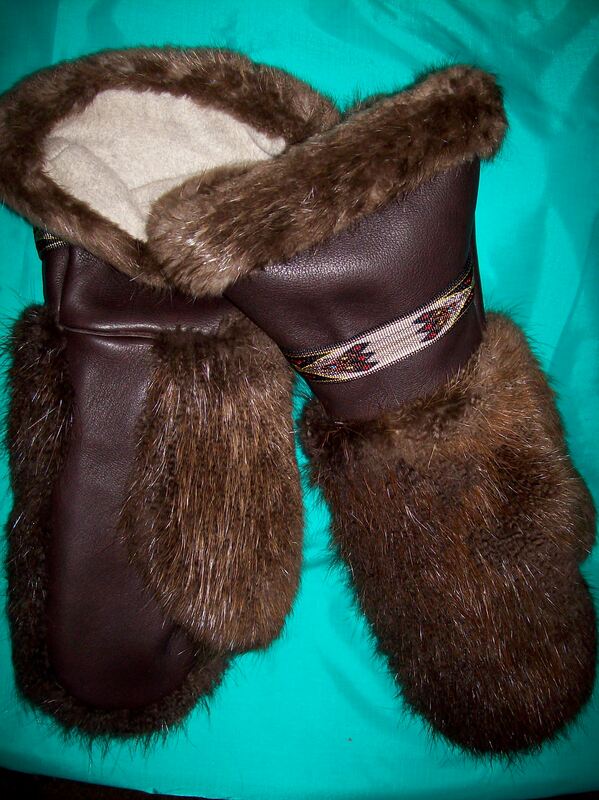 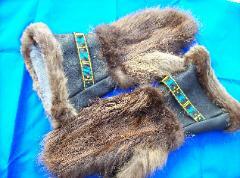 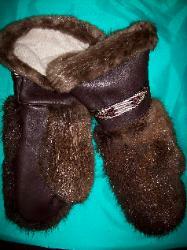 Traditional rough-out MOOSE hide mitts! 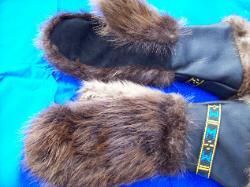 wristband, black P-1000 (wind-block) liner. over 30 colors/patterns of wristband!